Our mission is to provide an environment for educating Master Gardeners on the propagation and care of plant material, and to propagate and care for plant material for sale at the annual plant sale which is the major source of funds for other MGEC programs. The Greenhouse committee meets formally every Tuesday morning from late September through May. The committee instructs the Master Gardeners on the propagation of plants from cuttings and seeds and on the proper care of such plants. Committee members are also responsible for purchasing materials for the greenhouse and overseeing the physical upkeep of the greenhouse. We are currently planning for the plant sale in May. At the present time, we have taken and rooted hundreds of cuttings of coleus and other tender perennials, and will begin planting annual seeds. 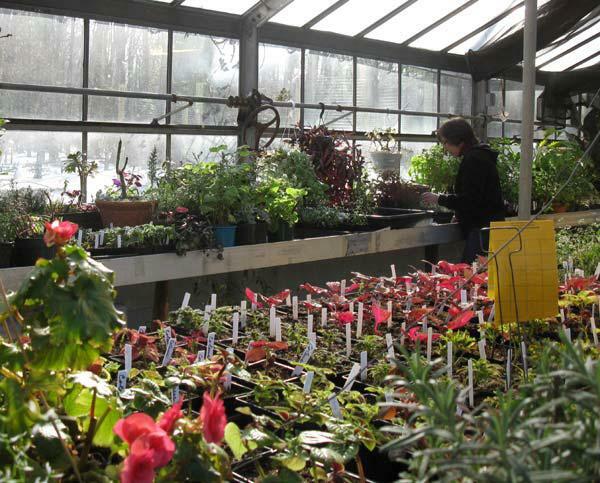 The Greenhouse Committee’s goals are to train and educate Master Gardeners interested in propagating and caring for plants, and to produce, in the most economical fashion, a crop of attractive, sale-worthy plants by the time of the MGEC plant sale.